This Saturday and Sunday, Grammy Award-winning, internationally renowned baritone and Spokane native, Thomas Hampson, returns home to help celebrate the 10th anniversary of the restoration of The Fox Theater. Hampson will sing a program of favorite arias and overtures, along with selections from the American Songbook. Music Director Eckart Preu conducts the Spokane Symphony, Spokane Symphony Chorale, and EWU Symphonic Choir at these very special concerts with Hampson. The concerts are Saturday, November 4 at 8pm, and Sunday, November 5 at 3pm. 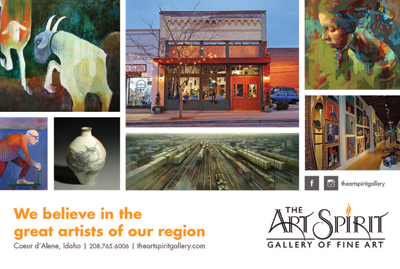 Tickets available at the box office, by calling 509-624-1200 and at www.ticketswest.com or 800-325-SEAT. Leap! - An orphan girl dreams of becoming a ballerina and flees her rural Brittany for Paris, where she passes for someone else and accedes to the position of pupil at the Grand Opera house. Rated PG. Dunkirk - Allied soldiers from Belgium, the British Empire and France are surrounded by the German Army, and evacuated during a fierce battle in World War II. Rated PG13. The Hitman's Bodyguard - The world's top bodyguard gets a new client, a hit man who must testify at the International Court of Justice. They must put their differences aside and work together to make it to the trial on time. Rated R.
V for Vendetta - In a future British tyranny, a shadowy freedom fighter, known only by the alias of 'V', plots to overthrow it with the help of a young woman. Rated R.
For more information and show times, visit garlandtheater.com. 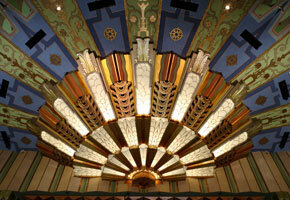 Sunday, November 12 is a special Community Day at The Fox Theater. The Spokane Symphony, owner and steward of the 1931 Art Deco treasure, has declared November 'Celebrate The Fox Month' in honor of the 10th anniversary of its restoration. From 1-3:30pm on Sunday, November 12, The Fox is open to the public for free to look around the beautiful architecture and murals, or take a 30-minute guided tour ($5) to hear about the theater's history and art, explore the lobby, mezzanine and lounges, and get a rare look at the stage and backstage areas. Tour tickets are available online at foxtheaterspokane.org/explore-the-theater/, or from the box office at 509-624-1200. Guided tours take place at 1pm. 1:50pm, and 2:35pm. Enjoy music performed by an ensemble of Spokane Symphony musicians; beverages and refreshments are available for purchase. Martin Woldson Theater at The Fox is located at 1001 W. Sprague Avenue. 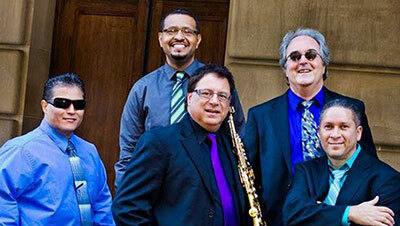 Don't miss the Mambo Kings, as they perform at the Martin Woldson Theater at the Fox on Saturday, November 11 at 8pm. Morihiko Nakahara will conduct. Celebrate this Christmas season with the experience that is taking North America by storm. The 25th anniversary tour of Moscow Ballet's Great Russian Nutcracker, featuring an over the top production and world class Russian artist. Performance is Wednesday, November 8 at 7pm at the INB Performing Arts Center. Tickets available at www.ticketswest.com or 800-325-SEAT. Take a magical musical tour through The Beatles' most iconic performances in this rock 'n' roll stage biography narrated from the unique point-of-view of longtime Beatles manager Brian Epstein. 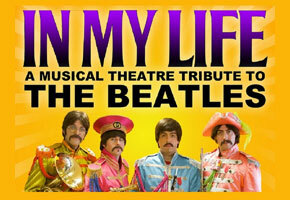 'In My Life', with a special performance on Friday, November 10 at the Martin Woldson Theater at the Fox, takes audiences from the mop-tops' early years in Liverpool's Cavern Club and their career-defining performance on 'The Ed Sullivan Show', to their famed final live performance on the rooftop of the Apple Records building. Renowned Beatles tribute band Abbey Road perform spot-on renditions of 33 classic Beatles' songs. The show played to a sold out audience at the Bing Crosby Theater in 2015. The Hawthorne Roots with Lucas Brookbank Brown and Sulphur Banks play the Red Room Lounge, 521 W Sprague Avenue, Thursday, November 9 at 9pm. $5 charge at the door. 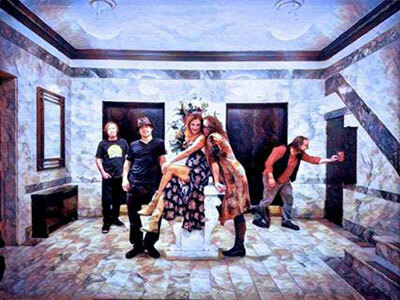 The Hawthorne Roots are a 3-time award winning, sister lead band from Bozeman, Montana. The band brings a soulful and energetic performance to the stage. Their unique style of Revved Up Soul has gained momentum and admiration within the northwest community and beyond. Learn more at www.hawthorneroots.com.